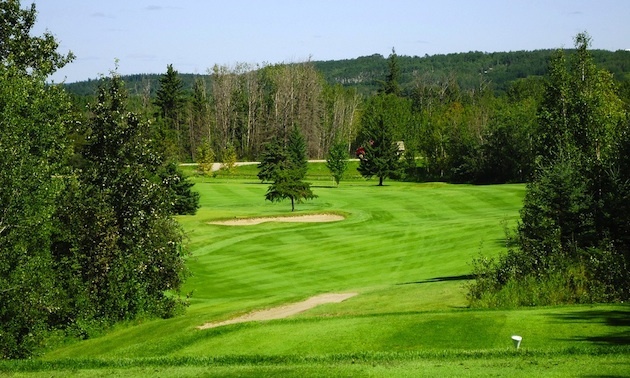 Smoky Lake Golf Club is ready for the 2014 season with a wide variety of tournaments, from the Spring Cash Scramble to the autumn Pumpkin Classic. Terry Ewasiuk, head manager at Smoky Lake, shares his excitement about the upcoming events—but also voices some concerns that many golf courses have been facing. Though the numbers may have been lower over the past several years, Ewasiuk said that Smoky Lake has a plan to turn things around by encouraging youth golfing in the community. The summer golf program takes place weekly starting the first Tuesday in July, and is free for all kids who want to come and take part. This junior program runs throughout the summer and culminates with the Smoky Lake Junior Open on August 12. Two minutes northwest of the town of Smoky Lake, Alberta. Kitchen changing to concession style with quick and easy-to-grab food. Spring Cash Scramble June 1, Victim Services Tournament July 13, Mixed Two Person Scramble July 26, Junior Open August 12, Club Championship September 14, Fall Cash Scramble September 27, Pumpkin Classic October 5. Ladies’ Night Monday, Fun Night Tuesday, Men’s Night Thursday.